Sauromatum giganteum was once known as a Typhonium but is now placed in the Sauromatum family. 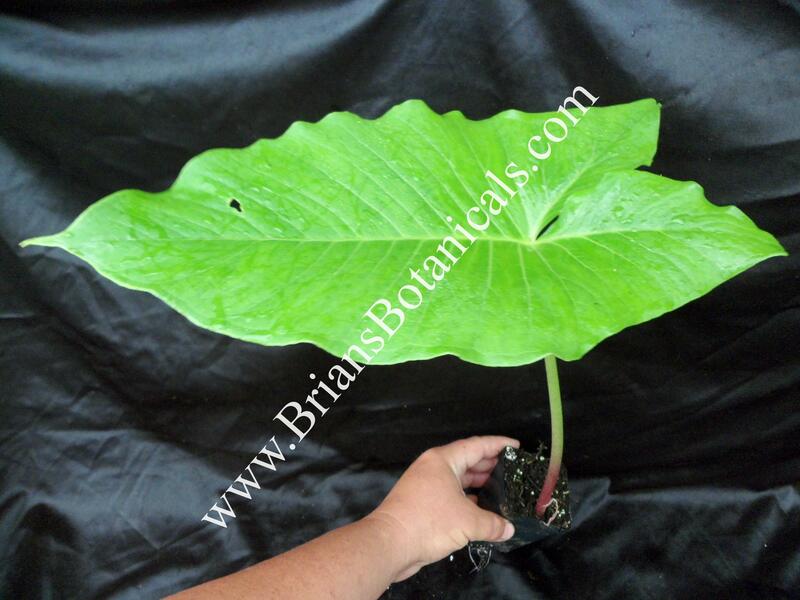 This plant has a leaf very similar to a Xanthosoma with a deep sinus and with a very triangular shape. The flowers are dark red and usually 6 to 9 inches tall. It has been hardy in Kentucky for 8 years. The plants grown in Kentucky come up around June to July and grow to 2 or 3 feet tall and goes dormant by late fall.